To grow your business, and before you can execute any great sales process, you have to Get Leads First. Jesse Stoddard helps companies like yours get more clients, customers, and patients while increasing profits, twenty-four hours per day. S2E19 It's Not the Leads... It's You! 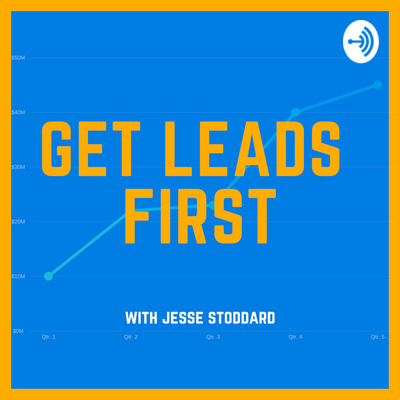 S2E17 You only have 5 minutes to call your lead! S2E13 Speed-To-Call Matters! Agentology Test. Episode 25 Pixels, Cookies, and Multi-Channel Marketing, Oh My! Episode 22 Quit Relying On The Lead Gen "Mafias"
Episode 21 InMarket Targeted Leads Test Results In! Episode 20 What’s A Client Worth To You? Episode 15 Who Are You Losing Profits To? In this episode, Jesse gives three free tools and easy tips you can use to educate yourself before handing over a lot of money to an SEO company. Purpose and objectives for the podcast. Who I am, why you should listen to me, what I have for you, and why it’s different. Learn more at https://getleadsfirst.com or https://StoddardAgency.com or send in questions via support@stoddardagency.com.